An inspired work gives a clear understanding of both Testaments with colourful illustrations by Jago & a masterful voiceover by David Suchet on the 3CDs. Lloyd Jones' masterpiece presented as it deserves to be - a gift to last a lifetime. Every story whispers His name! Sally Lloyd-Jones is a New York Times bestselling children's author. She has written many picture books as well as inspirational books, including three children's Bibles. A native of England, Sally currently lives in New York City. Jago is an internationally published, award-winning illustrator. He lives in Cornwall, England, with his family. David Suchet is one of Great Britain's most distinguished actors, best known for playing Agatha Christie's super-sleuth, Hercule Poirot. David has won numerous awards and continues to garner acclaim for his stage, television, and film work. The Jesus Storybook Bible Collector's Edition by Sally Lloyd-Jones was published by Zondervan in November 2012 and is our 4339th best seller. The ISBN for The Jesus Storybook Bible Collector's Edition is 9780310736424. 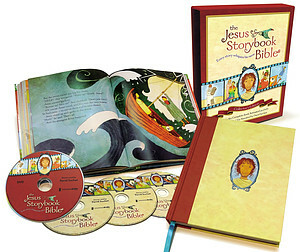 This collectors edition of The Jesus Storybook Bible is absolutely beautiful and an amazing price. Not only do you get a beautifully illustrated hard back edition of this bible, you also get the entire DVD collection on one DVD and three audio book CD's with the different parts of the story on. I am a home educating Mother and I can honestly say that this collection has been our favourite purchase amongst our Religious Education resources. Both my six year old daughter and my nine year old son have loved watching the DVD. David Suchet's voice is melodic and calming and as a result both the DVD and the audio books have become bedtime favourites. The content is perfect, our six year old would be distressed by certain old testament passages so the choice to omit these sits comfortably with me. Our nine year old has noticed the omission and this has been a fantastic opportunity for discussion. We have a plethora of children's and adult bibles and study bibles, so it has been nice to engage both children in discussions about different interpretations of the Word. This bible is so bright and visually stimulating, as well as being the perfect for young readers to read themselves. I think this may be another heirloom bible for our family. Got a question? No problem! 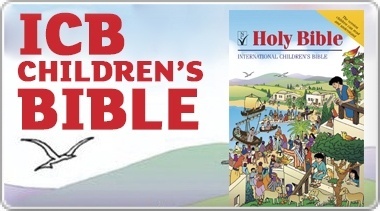 Just click here to ask us about The Jesus Storybook Bible Collector's Edition. Just checking, since only 1 DVD is included, yet EDENBUNDLE-1317 sounds similar but is on 4 discs and only has 23 animated stories. A:This does contain all 44 stories. Thank you for using the Q&A Forum. A:The DVD covers the entirety of the Book. I've added a video of one of the stories to the page so you can see just how the stories are presented. Thank you for using the Q&A Forum. Is the book in this pack the anglicised version,or the US version? Hi, I was wondering the region is for the DVD's?